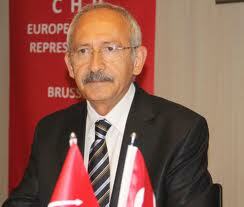 CHP President Kemal Kılıçdaroğlu and İYİ Party President Meral Akşener gathered at CHP headquarters. The parties agreed on an electoral alliance before the local elections which will be held next year in March. Kılıçdaroğlu highlighted that what is in Turkey’s news is the perspective and aspiration for a democratic Turkey, which can listen to people’s wishes and needs. Both underscored the need to work on building a Turkey without unemployment and poverty and that they have no interest other than work for ordinary people.